Hello! 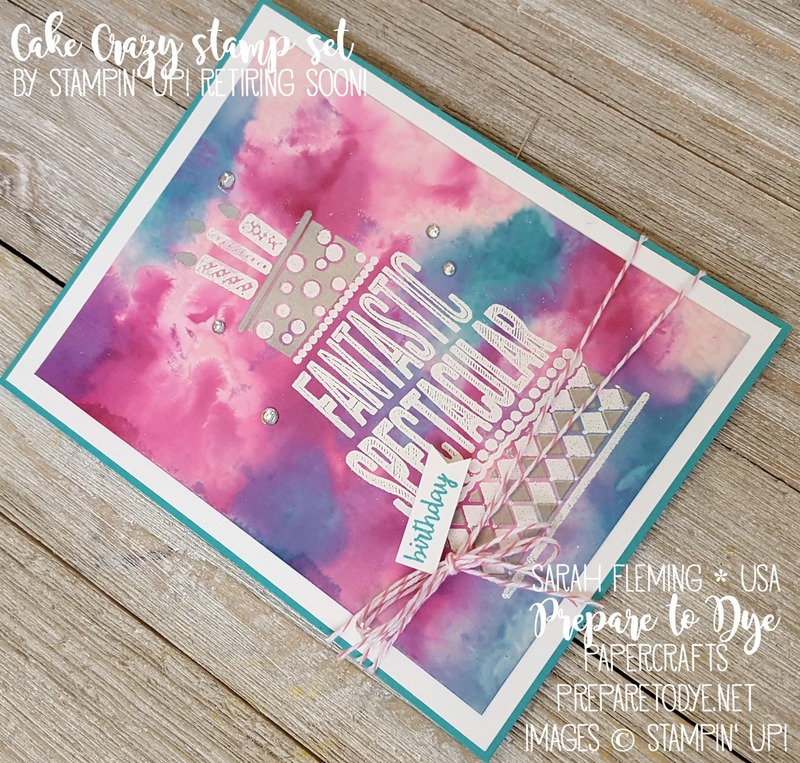 Welcome to the first monthly Stampin’ Dreams Blog Hop! You are currently at Sarah Fleming’s blog, and I’m in the USA. This month’s theme is items that will be retiring this month from the 2016-2017 Annual Catalog and the 2017 Occasions Catalog. Make sure you hop through the whole blog hop to get lots of inspiration! My card today is one of my Display Stamper projects from OnStage in Shreveport. This was one of my very favorite projects! It uses the Cake Crazy stamp set from the Occasions catalog and a few *coming soon* products from the new 2017-2018 Annual Catalog. I’m going to miss Cake Crazy SO MUCH! It just makes such fun any-occasion cards. When I received my Display Stamper box for OnStage, I admit I had no idea what the Glossy Cardstock was. I had to ask the home office what this photo-paper-type stuff was. Then I googled what to do with Glossy Cardstock, because it retired not long after I became a demonstrator. I found loads of fun techniques for it, and this was one of my favorites. 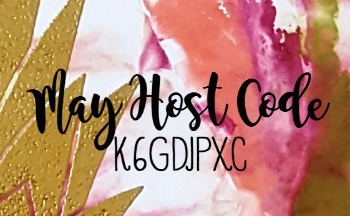 This is called the Ink, Spray, & Smash technique, and I found it on Splitcoaststampers. 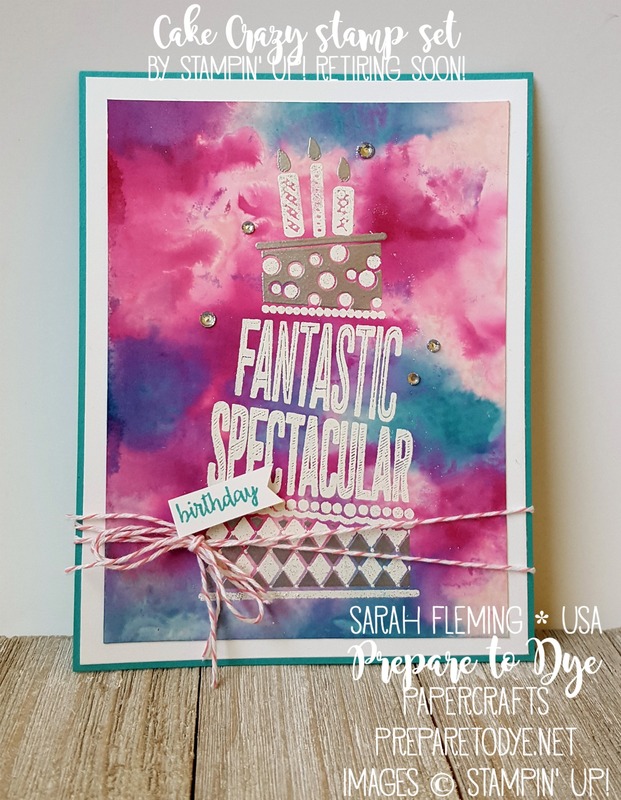 I used Bermuda Bay, Melon Mambo, and Pink Pirouette re-inkers for this card, and then I embossed the Cake Crazy stamps in white and silver embossing powder after my background was dry. I mounted the glossy piece on Whisper White, then a Bermuda Bay card base after the background was dry. 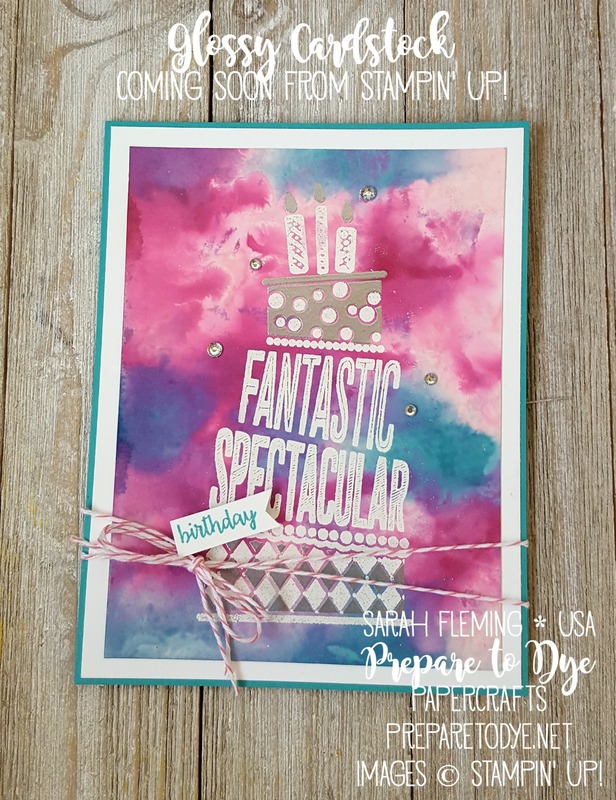 The “birthday” is a *coming soon* stamp from the Happy Birthday Gorgeous stamp set, and the twine is *coming soon* Flirty Flamingo Striped Baker’s Twine. I finished the card off with some rhinestones (those will be available again on June 1). I hope you like my project! Keep hopping around until you get back to where you started! I’m sure you’ll be inspired by every blog in the hop! Right now you’re at Sarah Fleming’s blog. You can get Cake Crazy in my online store, but it’s only guaranteed in stock until May 22, so make sure you grab it if you want it! I’d hate for you to miss out on this wonderful set! What a perfect use for the Glossy cardstock! It makes a beautiful background. Love the giant splash of color, Sarah! What a fabulous use of colour! Really beautiful card! Sarah. I love your card. The background is so special. Well done.